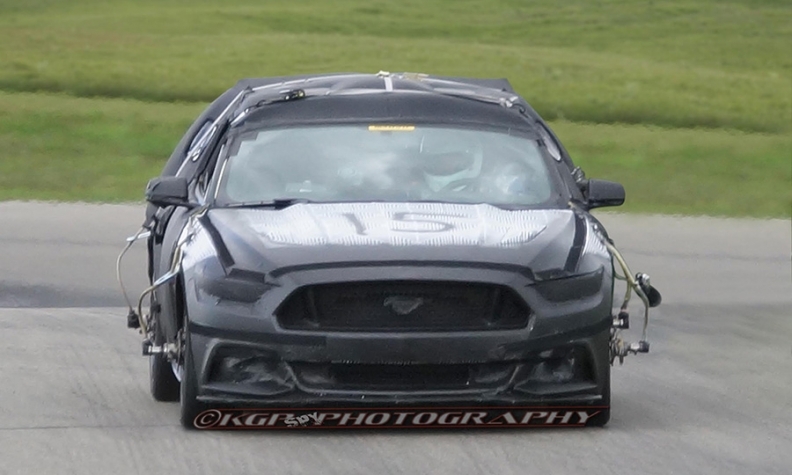 New spy photos offer a look at what might be the face of the redesigned Ford Mustang scheduled to arrive next spring. The front end looks like a facelifted version of the 2013 Ford Shelby GT500 with some touches of the Evos concept car Ford showed at the 2011 Frankfurt auto show. The design brings the front of the Mustang closer in appearance to the Fusion, Focus and Fiesta. The next-generation Mustang will be a global car and less of a bruising American pony car. It will have a turbocharged four-cylinder engine and independent rear suspension.